Our metal roofs feature reflective panels that will minimize the amount of heat absorbed by your home. It also features both batten and counter-batten systems that improve airflow in your attic, keeping the temperature in the area just right. This will keep you from using your HVAC units excessively, leading to more energy savings. Our roofs are available in three ENERGY STAR®-rated colors. As a roofer authorized to provide Gerard® Stone Coated Steel, we offer an array of roofs that are available in an extensive selection of profiles and colors. We have metal roofs that offer the genuine and classic look of tile. We also have Canyon Shake metal roofs that have the natural look of wood, blending perfectly into the surrounding landscape. Choose from 18 colors that will add charm to your home’s exterior. Our products are made from recycled materials and can be recycled at the end of their service lives. This means they don’t stay long in landfills, promoting a greener environment. Furthermore, their energy-efficient properties help reduce carbon emission, which is harmful to the planet. Metal roofs are known to have longevity and our product is no exception. They can outlast other traditional roofing materials and can last for a decade, lessening the need for an early replacement. Furthermore, they’re impervious to fire and hail damage, and are great at keeping water out. As one of the roofing companies committed to your satisfaction, expect us to provide you with metal roofs that will beautify your home while making it cozier. Rest assured that our roofs will meet your needs. We serve residents in Northwest Indiana, Chicago, Schererville, IN, and other areas in Indiana. 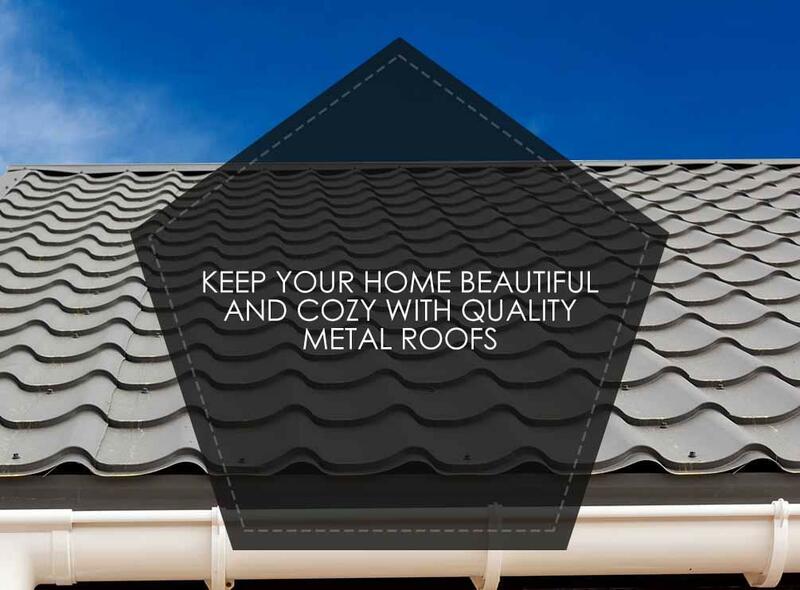 Call us today at (219) 228-8210 (Indiana) or (773) 492-2270 (Illinois) for a FREE quote on a metal roofing system for your home.